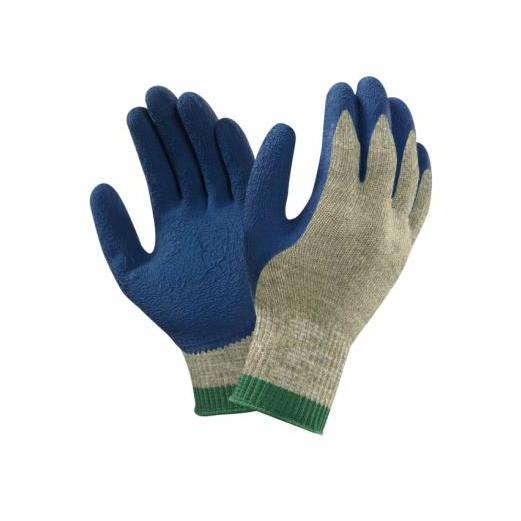 The Ansell PGK10BL Level 5 Cut-Resistant Heat-Resistant Gloves are medium-weight, seamless Kevlar gloves with a rubber latex coated thumb and palm for protection against mechanical risks. These gloves are highly-flexible and comfortable, yet provide excellent resistance to abrasion, cut, tear and puncture, and are resistant to heat up to 250°C. The PGK10BL Gloves have been designed to provide protection against industrial hazards, including abrasion, cut and heat. They provide excellent grip in both wet and dry conditions for versatile use, and feature a fully-coated thumb to protect this vulnerable digit. 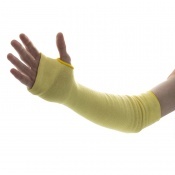 An elasticated knitwrist provides a snug fit to further enhance user safety. A seamless Kevlar knitted liner reduces the potential for skin irritation and makes the PGK10BL Gloves extremely comfortable to wear. Protective, yet highly-flexible, these gloves enable the user to perform manual tasks with excellent dexterity, and can be worn for an extended period of time without causing hand fatigue. 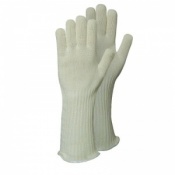 The PGK10BL Gloves are reusable and can be washed at a temperature of 40°C. Washing the gloves will help to reduce the risk of contamination and can keep them clean and fresh to extend their life. The table below shows the test results of the Ansell PGK10BL Gloves according to EN 388 Mechanical Risk specifications. 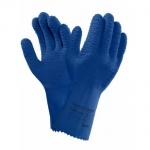 The PGK10BL Gloves have also been tested to EN 407 to determine their heat-resistance. They achieved a level 2 rating, which means that, when exposed to 250°C heat, it took 15 minutes before the material on the inside of the gloves exceeded a temperature of 35°C.